I love products that smell of Rose- it's such a classic, elegant smell. Some people find it overpowering but for me I like the traditional scent. 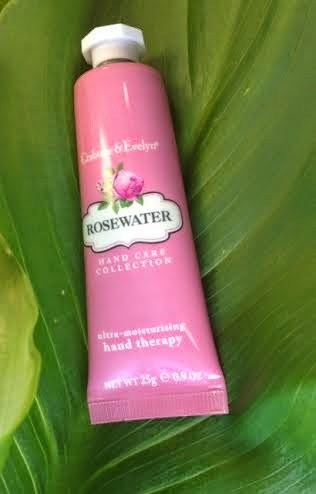 Crabtree & Evelyn Rosewater Hand Therapy is my favourite handcream of all time. It's a rich cream with a beautiful, quite strong rose smell. It leaves my hands feeling velvety smooth and soft for a long time after applying. 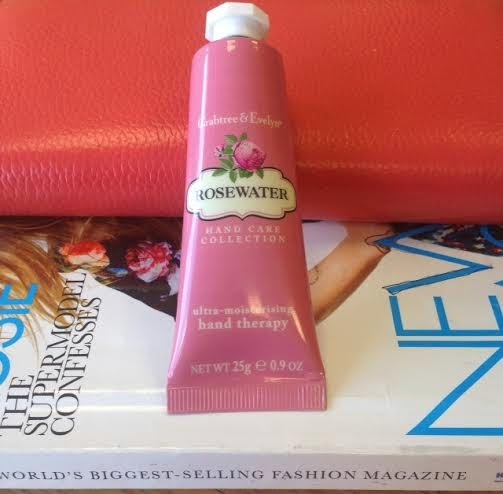 I used to only be able to find Crabtree & Evelyn as a concession in department stores such as Debenhams and John Lewis but recently I have noticed 'Boots' are stocking the Crabtree & Evelyn Hand Therapy Collection too which is great. It comes in a small handbag friendly 25g sized tube or the full sized 50g version. When I used to buy this cream a few years ago, the packaging was different. It used to have a lovely traditional vintage look, with a white background...It is a shame they have changed it to this modern pale pink look, as although it's still cute, I prefer the original. If you buy the larger 50g size, it comes presented in a lovely box-the packaging of this is reminiscent of its original branding (below). It looks so pretty, I think this could be perfect as a little gift. Crabtree and Evelyn have an array of different hand creams in their Hand Therapy collection, all beautifully packaged and presented. Click here for their website. 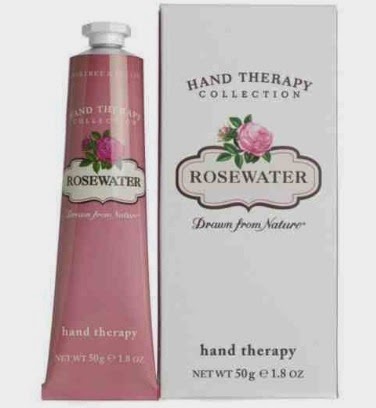 I also like the fragrance of their Gardeners Hand Therapy cream which comes in a pretty copper coloured tube.